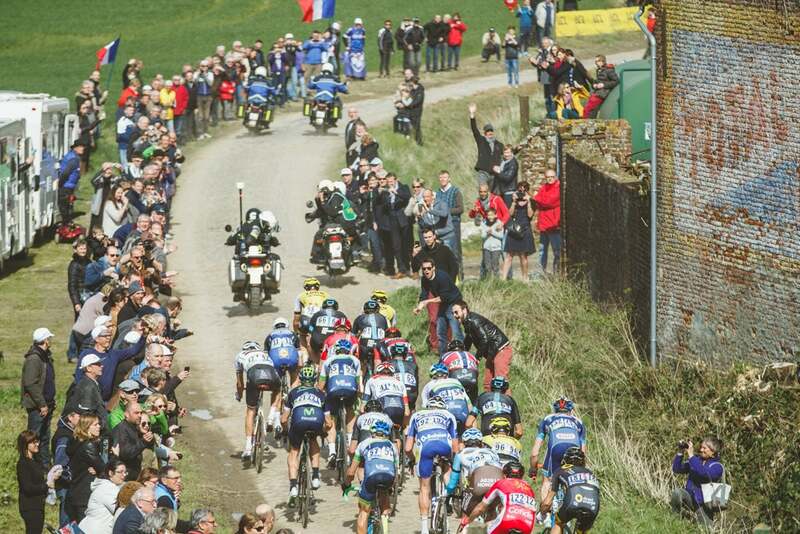 The cobblestones are key to Paris-Roubaix, so here's a quick guide to the 29 sectors that will make or break a Sunday in hell. 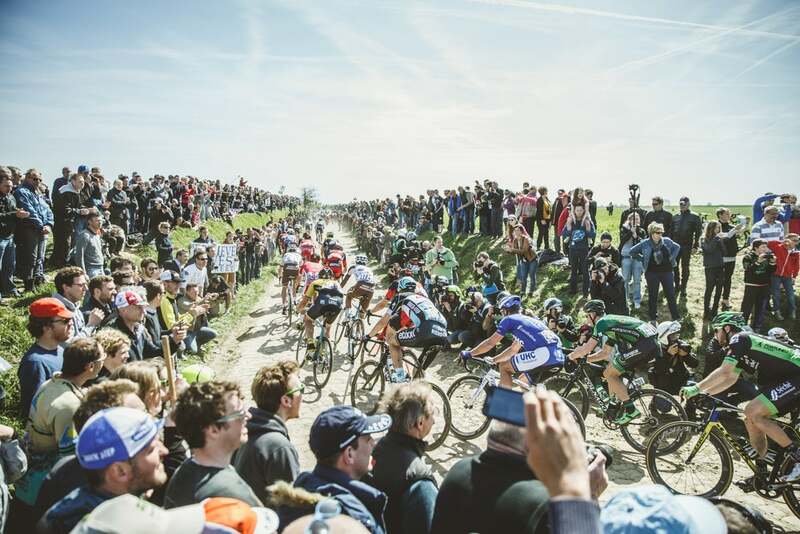 The cobbled spring classics reach a crescendo Sunday at Paris-Roubaix 2018. 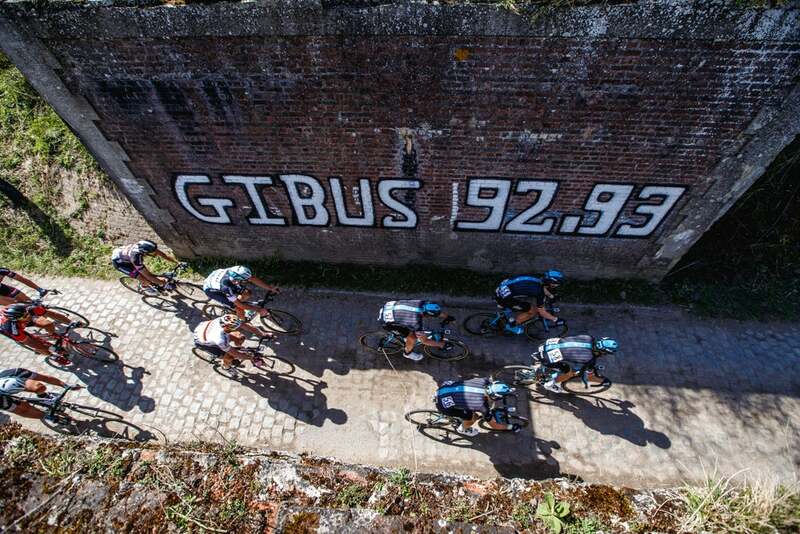 The pavé on this 257-kilometer route is far rougher and more treacherous than anything the peloton races for the remainder of the year. These brutal farming roads are a throwback to a time when pro cycling was less about sport science and product marketing and more about all-out suffering for hours on end. 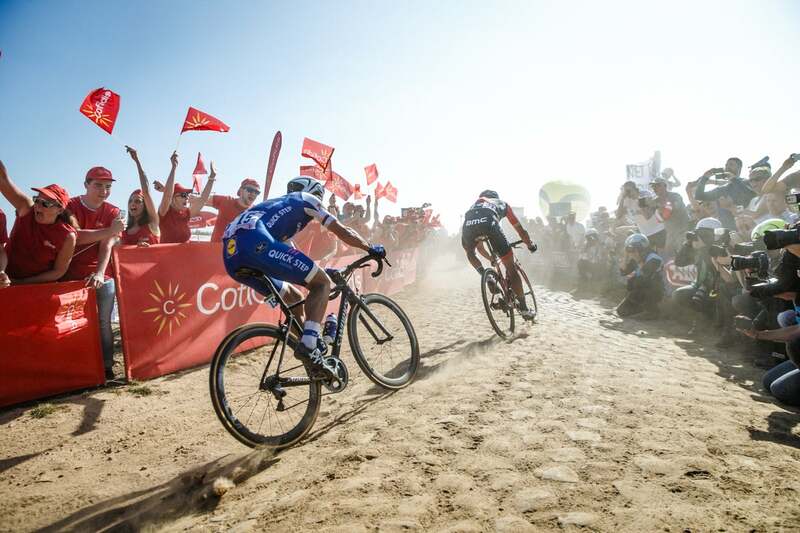 Since the cobblestones are so essential to the outcome of this race, we’ve compiled a quick guide to the 29 sectors that will make for a hellish Sunday in northern France. Troisvilles, the first sector tackled, is slightly downhill, so speeds are high and flats are frequent. It is often muddy even when the rest of the race is not. A new addition to the route in 2017, this sector was renovated, but route designer Thierry Gouvenou says it is still quite difficult. A 90-degree right-hand bend just under halfway through sets off a long, 2km slightly uphill drag that softens legs but has little other impact on the race. A couple large holes on the sides will send smart riders onto the crown, or raised middle of the pavé, for this otherwise simple sector. A long sector with pavé in decent condition, mostly flat, another chance to test the legs. Nerves. The bunch, since Quérénaing at least, has been ramping up its pace in preparation for what lies ahead: the Arenberg Trench. 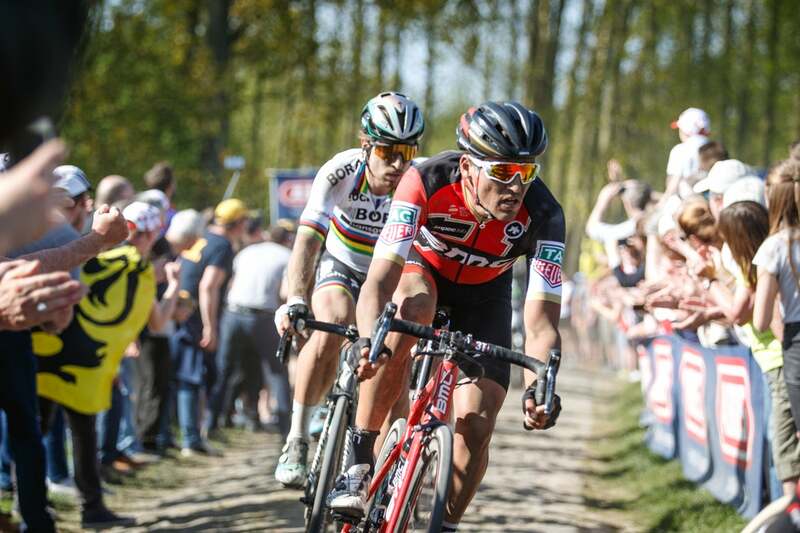 Haveluy is the last sector before the famous wooded pavé, finishing less than 8km from the Arenberg’s start point, and the battle for position is at its peak. Watch for crashes and crazy moves up the side of the field. Elbows out. The finish line for many domestiques lies at the foot of the Arenberg. Get their leader to the front at the right moment and it’s a job well done — failure to do so could end the race for the team. The cobbles here are vicious, full of holes and dips. 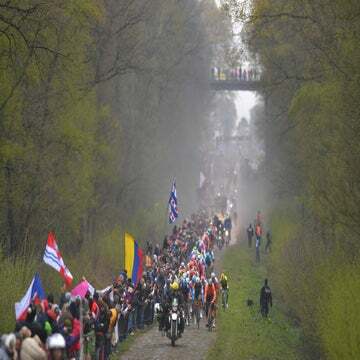 Even the crown, the only place that is consistently rideable at Arenberg, sees its share of half-dislodged stones and deep dips caused by abandoned mines running underneath the road. The top of each stone is well polished by years of use, though the trench sees no vehicle traffic today. A street sweeper is run over the sector before each race, but even so, the pavé of Arenberg can be dirty, muddy, and are guaranteed to be slick as ice when wet. The Arenberg does not pick Roubaix’s victor, but it does create a group from which the winner will be selected. A chance to pound home any separation created on the Arenberg, or finish the day of any favorite unlucky enough to have flatted or crashed. The sector is not particularly difficult in itself, but its proximity to the Arenberg — just 3 kilometers of pavement sit between the two — makes it a crucial moment in every edition. The longest sector of the day, L-shaped with cobbles of average brutality and a propensity for flatting tubulars. One or two lead riders, hanging on by a thread through Wallers, will see their time at the front end here. This medium-length sector is full of sunken sections down each flank, so riding the crown is vital. The positioning battle between Hornaing and Warlaing will be fierce. Frequently used by tractors, and thus occasionally muddy even when the rest of the course is not, Tilloy features three rough, 90-degree bends that have caught out favorites in the past. The first two sharp turns are to the right, the last is to the left. Half of this sector was laid down specifically for Paris-Roubaix, and incorporated into the race in 2007. The beginning is lumpy; the right side, in particular, greets riders with a gap-toothed smile, with holes between the stones that are the perfect size for a road tire. A short gap between Beuvry-la-Foret and Orchies will keeps legs burning, even though the first 1,100 meters of this sector are relatively tame. The final 600m are not — the road rises slightly, sapping energy, and the pavé breaks up to steal yet more. Ouchy, indeed. 2,700 meters long, curving slowly throughout, and mostly flat, it was the broken-up stones that led this sector to be removed from the race in 2007 and 2008. A bit of repair work brought it back for 2009, but it’s still in bad shape. Its position within the race, at nearly 200km, as well as its length, means it can often catch a favorite by surprise. Sometimes, though, they take it a bit easier here, wary of Mons-en-Pévèle, which lies directly ahead. Eleven sectors to go, and this one is where things could start to break up for good. It’s long, with a ragged right-hand turn halfway through that can serve as a launch point for a big effort. Riders drop into Mons-en-Pévèle with speed, and the first few hundred meters are at a slight downhill, helping them hold onto that velocity. But the sharp right hander and flatter second half sap the legs. This is one of the most difficult sectors on the course. A largely inconsequential sector. The stones are in good condition, it’s dead straight, completely flat, and comparatively easy. Of course, after Mons-en-Pévèle, the riders may not agree on the last point. 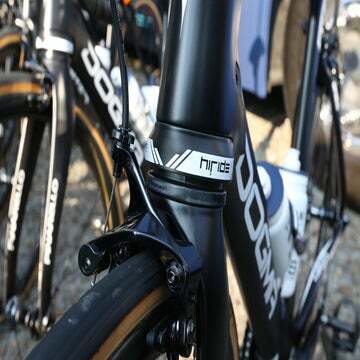 Used in the 2014 Tour de France by Vincenzo Nibali to distance his opponents, Pont-Thibaut’s two sharp, left-hand corners are often the source of crashes. Riders are tired, the corners themselves are rough, and the fans often cover the good racing line. Straight, with its worst cobbles at its entrance, Templeuve is relatively new to Roubaix. 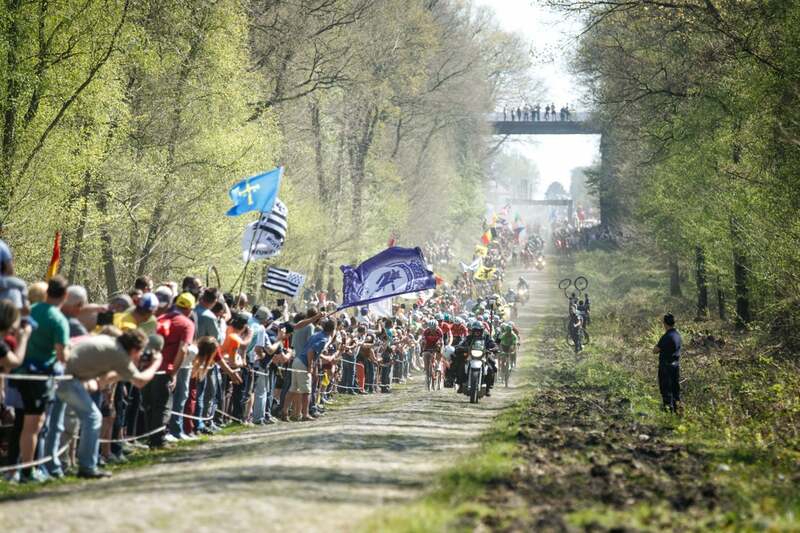 It was dug out from under the mud for the 100th edition of Paris-Roubaix in 2002 and has been used ever since. A part of the race that lacks infamy yet can prove decisive. The two sectors combine (with only a few meters of pavement between them) to form the true launch of the finale. The miles weigh heavily at this point, and with less than 30km remaining any and all moves must be covered immediately. The cobbles themselves are rough, worse that most that came before, bouncing wheels and bikes almost uncontrollably. If a big name has the power and control to attack here, it can spell the end for his challengers. It just gets rougher and rougher, it seems. Or perhaps the legs can’t push over the crown so efficiently anymore. The final 300m of this sector, which comes just over 20km from the finish line, is a real brute. The edges of the pavé are jagged, snagging tires without mercy. A flat in Camphin is game over. The last chance. If a group remains, the strong men will use Carrefour to attempt to pry free from any fast sprinters still hanging on. None of the top favorites will have any friends at Carrefour. Not difficult in itself, but the recovery from the Carrefour is just a few meters of pavement. They might as well be one sector, over 3,200 meters long. The pavement between the two is important, though, as it’s an opportunity to regain some speed. Those who can stay on the gas as they exit Carrefour will enter Gruson with an advantage. Those already struggling are doomed to lose contact in the acceleration. 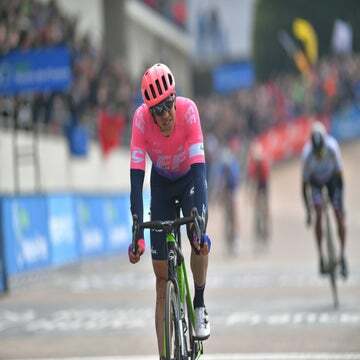 A medium-length sector with cobbles in good condition, suitable perhaps for a last-ditch, late move, but unlikely to dislodge any frontrunner who has already made it this far. Mere ceremony here, not rough enough to provide a real launchpad. Any group still together will likely sprint it out in the velodrome. Any solo rider will pray to every God he can think of not to flat on this final sector of pavé.